Appreciating nature and learning more about plants and animals native to the Texas Hill Country are primary goals of Canyon of the Eagles. 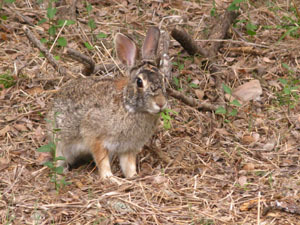 With that in mind, the resort offers a variety of educational and interpretative programs at no extra charge to guests. Check the web site or guest services for scheduled dates and times. 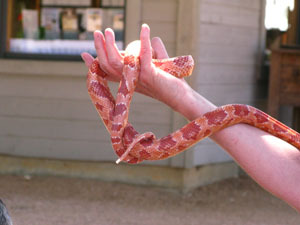 Shake, Rattle, and Coil is a hands-on program featuring non-venomous reptiles to demonstrate natural relationships of animals. You’ll have the opportunity to touch, even hold, some of these fascinating creatures while a certified naturalist provides interesting facts about the park’s ecosystem. History, Mystery and Magic shares history of the area including building of the Lake Buchanan dam, Native American occupation and artifacts, and early settlement by Europeans. Scales, Tales, and Shells is an aquatic program in which the naturalist shares finds along the lake’s shoreline and tells guests about creatures that live below the surface of the lake (fish) and fly above (birds). Owl Prowl calls screech owls to the amphitheater in the woods so guests may observe flight patterns and hopefully come eye-to-eye with these nocturnal birds. Offered from September to January only in order to protect endangered song birds that nest in the area. Butterflies of Central Texas occurs in spring and summer when a it’s possible to discover the life-cycle of native butterflies. Walk on the Wild Side takes participants on a guided hike along various paths in the park. Terrain is reasonably level, and you’ll learn to identify trees and shrubs of the Hill Country as well as insects, flowers, bird habitats and reptiles. Eagle Eye Observatory provides exceptional nighttime stargazing under the auspices of Austin Astronomical Society. Two high-powered telescopes enlarge your view of the moon and planets. Movies under the Stars— Snack on s’mores and hot chocolate while enjoying a family movie under a blanket of stars on the patio. 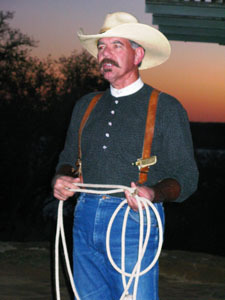 Cowboy Poetry and Storytelling is presented by authentic Kerrville cowboy Dennis Gaines. Author of “New Tradition: Western Verse” and winner of several prestigious national awards for Western comedy and poetry, Gaines presents original poems and tall tales spiced with his witty brand of trail humor.